FIGURE 1: View of the structure of temperature via a vertical section in a three – dimensional (3D) model of the solar atmosphere resulting from a magneto-hydrodynamic simulation chromosphere (see Carlsson et al 2016. A & A, 585, A4 ). The solid curve shows the heights (Z) in this model from which the photons from the center of the Lyman-α observed by CLASP (note that almost coincides with the transition region between the chromosphere and the crown model) line. The summary in this press release research shows that in the solar atmosphere the geometry of the transition region is much more complex. For more details see Trujillo Good and the CLASP team (2018; The Astrophysical Journal Letters, 866, L15). below the transition region. Credit: J. Harvey (NSO, USA..). The CLASP experiment (Chromospheric Lyman-Alpha Spectro-Polarimeter) was launched on 2015 September 3. The instrument, onboard a NASA suborbital rocket, measured with great success and for the first time the linear polarization of the strongest spectral line of the solar ultraviolet spectrum, the hydrogen Lyman-α line. 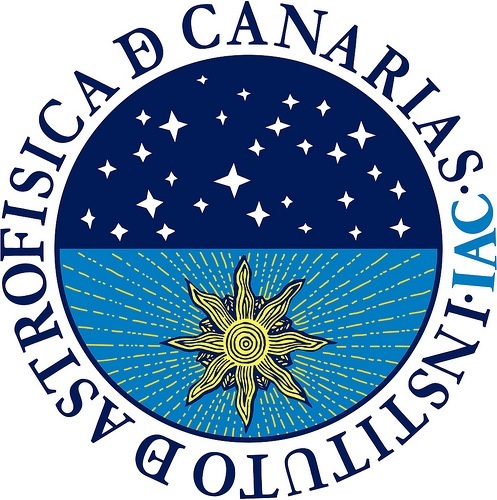 This international experiment (Japan, USA and Europe) was motivated by theoretical investigations carried out in 2011 at the Instituto de Astrofísica de Canarias (IAC). Thanks to the unprecedented observations provided by the CLASP instrument, the scientific team was able to confirm most of the theoretical predictions. However, the observed polarization signals, contrary to those calculated in today’s theoretical models of the solar atmosphere, do not show any significant variation in their line-center amplitude when the line of sight goes from the center to the edge of the solar disk. “This was a very interesting surprise that aroused great scientific interest, because the spectral lines of the solar visible spectrum (which can be observed with ground-based telescopes) show such a variation”, says Javier Trujillo Bueno, professor of the Spanish Research Council at the IAC and one of the principal investigators of CLASP. The radiation of the Lyman-α line encodes information about the physical properties of the transition region, an enigmatic geometrically thin region where in less than 100 km the temperature suddenly jumps from the ten thousand degrees of the chromosphere to the million degrees of the corona. It is in these regions of the outer solar atmosphere where the explosive phenomena that can affect the Earth’s magnetosphere takes place. “The puzzling lack of a clear variation in the amplitude of the polarization signal when going from the center to the edge of the solar disk hides clues about the structure of the transition region”, says Jiri Stepan of the Astronomical Institute of the Academy of Sciences of the Czech Republic and one of the members of CLASP, presently on a working visit at the IAC. The fact that the CLASP observations cannot be reproduced by today’s models of the solar atmosphere suggests that the 3D structure of the chromosphere-corona transition region is much more complex than previously thought. In order to confirm this idea, the scientific team has carried out a complex theoretical investigation in order to determine the magnetization and geometrical complexity of the transition region that best explains the experimental data. With the help of the MareNostrum supercomputer of the National Supercomputing Center in Barcelona, the researchers have calculated what would be the expected polarization signals for a large number of 3D atmospheric models, constructed by changing the degree of magnetization and geometrical complexity of the 3D solar model atmosphere illustrated in Figure 1. Such study has led to two important conclusions, namely, the transition region of the atmospheric model that most likely explains the CLASP observations has a significantly larger degree of geometrical complexity and a smaller degree of magnetization. The results of this investigation make it evident the need to develop more realistic 3D models of the solar atmosphere, by including phenomena such as spicules, ubiquitous in high-resolution observations of the line-core intensity in strong chromospheric lines (see Figure 2), but not present in today’s 3D models of the solar atmosphere.